Bring the farm inside with the barnyard collection of coordinates. The tan and navy border will enhance any room, along with detailed chickens, roosters and cows. This is a fun collection with the red barn and wind mills all with bright bold colours. 100% cotton shell and hand layered organic cotton fill. Hand quilted and hand layered for a unique soft touch and warmth. 1. 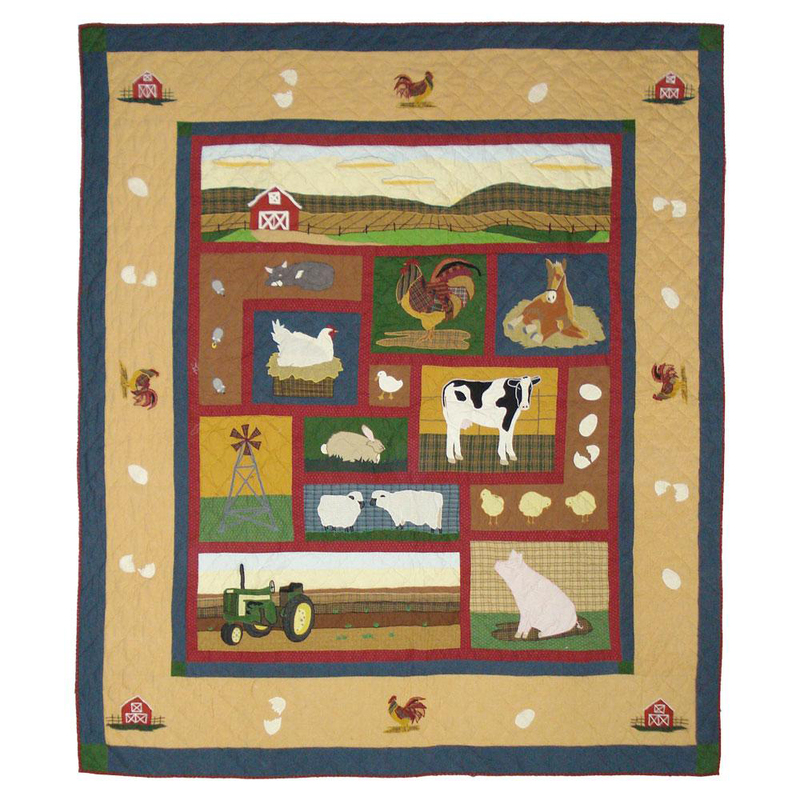 100% Cotton handmade reversible double sided Quilt. 2. Hand quilted , not machine quilted. Original traditional quilting . 3. Reverses to homespun fabric,yarn dyed fabric backing . 4. Hand appliqued, real applique parts.Not printed.